Paternity refers to the legal father of a child. Issues of paternity come up often in child support cases, adoptions, inheritance, and health care. Establishing paternity gives fathers legal rights to make decisions for their child. Paternity will also allow mothers to receive child support benefits for their child. Paternity is the legal or biological relationship between a parent and child. Confirming paternity gives a father legal rights over his child so he can take part in decisions and responsibility regarding the child. Without establishing paternity, a child may not get the proper paternal care they need, nor the finances or future inheritances that might come from that father. Issues surrounding paternity may arise in cases involving child support, adoptions, health care, or inheritance. When paternity is questioned or challenged for these reasons, it can cause emotional and financial issues for both the child and mother involved. There are DNA tests that can confirm paternity, which are commonly used in this regard. However, they may not always be correct due to lab errors, fraud, or proof of sterility/infertility. Having a family law lawyer oversee yourpaternity issue is advised. Mothers may want to establish paternity legally in order to receive child support after a divorce, or to secure certain benefits for the child in the future. A father may also wish to confirm paternity to either prove he is the biological father of the child and thus has paternal rights over the child, or to prove he is not the biological father and thus has no obligations towards that child. A paternity lawyer can help in any of these cases. Family law attorneys with experience in paternity issues can help you understand the laws in your state and recommend the best course of action for your unique situation. If any issues or disputes surrounding paternity arise in your family, an experienced family law lawyer will use all available legal and medical resources to help resolve any problems or questions. Issues with establishing paternity can have emotional and financial implications. Not establishing paternity can prevent a child from having proper care and finances prevent them from securing future inheritance. It can also prevent children to access their personal information in the future and know about the health risks of their paternal family. Even during DNA testing, there may be a possibility that the results of paternity are incorrect. This can be a result of lab errors, fraudulent results and proof of infertility or sterility. To protect the rights of your child, it is important to check with a paternity lawyer. Each state has a different law that governs paternity. A lawyer can let you know what the laws are and the ways in which to handle any paternity issues that may come up. 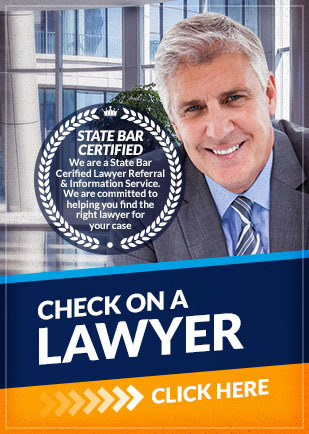 A paternity lawyer utilizes all medical and legal resources to settle paternity disputes. If you are being involved in paternity dispute, Attorney Search Network can find you a family lawyer who can handle your case. Contact us today to find a paternity lawyer near you.